The best camps have the best staffs and the best staff training. It’s training to develop and maintain a professional approach to the job and training to support later jobs. Filed Under: Directors Tagged With: Counselors, Junior Counselors, professional development, staff training, team work, Why be a Counselor? Ghany Jobs Week Times 2 — 2019 Style! 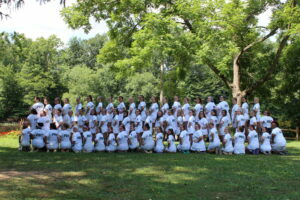 This year we’re dedicating two weeks to our job recruitment and camp industry jobs focus for counselors. It’s #ghanyjobsweek and #ghanyjobstwoweeks ! Filed Under: Directors Tagged With: Counselors, Junior Counselors, leadership, planning, professional development, staff training, team work, Why be a Counselor? 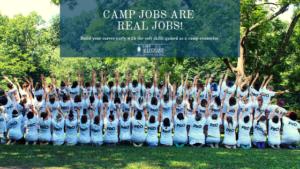 Employers Want You, Camp Counselors! 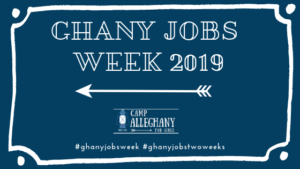 Filed Under: Directors Tagged With: #GhanyJobsWeek, Camp Alleghany Alumni Association, camp jobs, Counselors, jobs, Junior Counselors, leadership, professional development, staff training, Why be a Counselor? 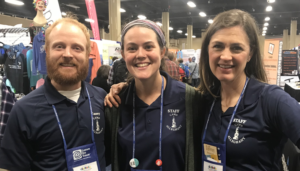 New Leaders-In-Training Head Teresa Padgett went to the national American Camp Association Conference and learned so much that she’s bursting at the seams to tell you about! 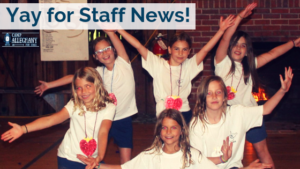 Filed Under: Staff Tagged With: American Camp Association, conferences, planning, professional development, staff training, team work, Why be a Counselor? 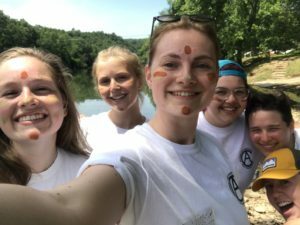 We attended a wonderful local camp conference earlier this month with some unusual and special surprises that I write about on the blog. 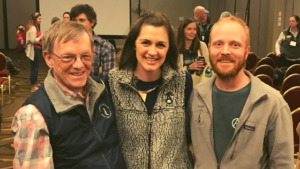 Program Director Casey Tucker reflects on the recent Winter Counselor Brainstorming Retreat. Read up and get excited about #summer2019! Filed Under: Directors Tagged With: Counselors, planning, professional development, WCBR, Why be a Counselor? 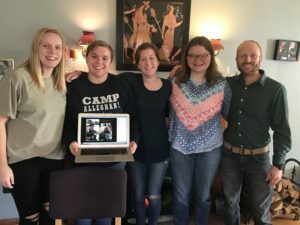 A new international counselor — Annie Chapman — tells her story of a newly invigorated approach to staff training and what it meant to her. Filed Under: Counselors Tagged With: Counselors, NCCCs, professional development, staff training, team work, Why be a Counselor? 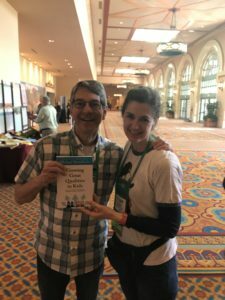 A blog that goes into the details of the types of sessions offered at the ACA camp conference as well as some very interesting keynote speakers.